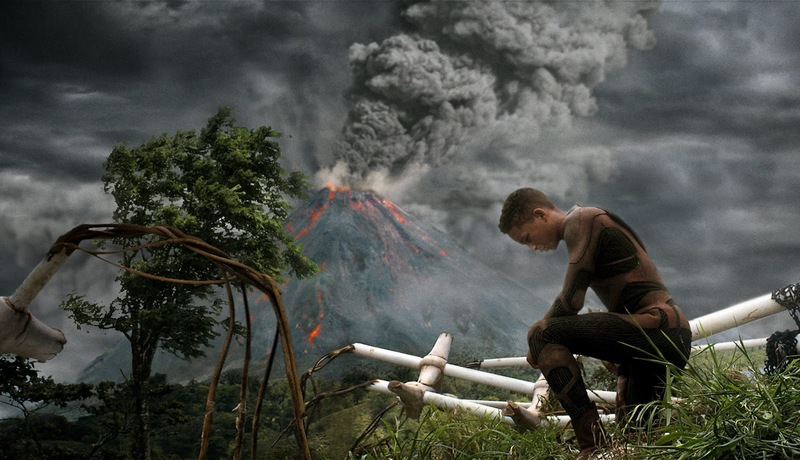 The new sci-fi epic After Earth has been considered a failure, both financially and critically. The way the movie has been received has reminded some in Hollywood of another maligned Scientology-connected scifi movie, Battlefield Earth. Here are six reasons the two movies are similar, and are enduring a similar fate. 1. Both Movies are Sci-fi and Have "Earth" in the Title - Okay, that was a gimmie. 2. Both Movies Are Vanity Projects By A-list Stars - After Earth was created based on an idea from Will Smith, was produced by Will Smith, co-stars Will Smith, and stars his son Jaden. So you'll forgive some people who have accused the movie of nepotism. Battlefield Earth was spearheaded and starred John Travolta, because he really liked the novel written by the creator of his religion. And yes, at the time Battlefield Earth was made, John Travolta really was an A-list star. 3. Both Movies Seemed Created to Promote Something Other Than the Movie - Everyone has noted that After Earth boiled down to Will Smith wanting to make a movie to boost his son's career. According to director M. Night, After Earth started with a conversation with Will Smith about how Jaden needed a movie to showcase his "acting talent." The story of Battlefield Earth: The Movie is a story of endless determination from John Travolta, famed Scientologist, to make a movie about the "awesome" (according to Scientologists) novel by L. Ron Hubbard that no one else wanted to make. He poured millions of his own money into the project after no major studio would finance it. The church also financed the project, and allegedly ordered every Scientologist to see the movie three times. It's widely believed the Church of Scientology hoped to draw some people to Scientology in the process. 4. Both Movies Are Believed to Promote Scientology - Some critics accused Battlefield Earth of being Scientologist propaganda. The story is set after an alien invasion has enslaved mankind, which is something Scientologists are taught has already happened. The main villains are called Psychlos, which many believe is a reference to psychiatrists, a profession that L. Ron Hubbard famously reviled. The movie also had clear cut lines of good versus evil, something strongly held in Scientology. However, most critics agreed that very little Scientology propaganda existed in the final product. Critics have also made a case that After Earth is even more of a propaganda piece for Scientology than Battlefield Earth. Scientologists are taught that emotional memories must be talked through and eliminated for the mind to be calm and whole. Throughout the movie, Kitai is haunted by emotional memories that he must fight to overcome. Scientology also promotes the idea that emotion (principally fear) must be purged, and to become "clear" of negative emotions is to achieve enlightenment. In After Earth, the main character Kitai must literally purge himself of fear, since he's being pursued by a blind alien creature that is drawn to the smell of fear. Kitai also wears a suit that analyzes his physical state, and allows his father to tell when he's emotionally lost control. This could be viewed as an analogy to the e-meter, a lie-detector type device used by Scientologists to gauge your emotional state. But the biggest Scientology nod comes from the volcano that is Kitai's goal in the movie. 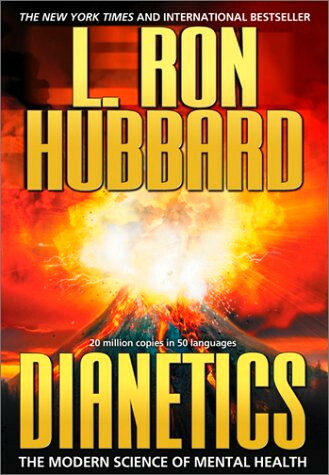 Guess what's the biggest symbol of Scientology, the one that's on the cover of L. Ron Hubbard's book, Dianetics? Whether it's true or not, both movies are raising suspicions. 5. Both Movies Received Horrible Reviews - Battlefield Earth has become legendary among lovers and haters of bad movies. It ranks at 2% on Metacritic. The screenwriter of the movie wrote an apology. It's become a punchline in itself. After Earth is currently at 12% on Metacritic, so it's not as poorly reviewed as Battlefield Earth, but it's critical failure has become a story along with its commercial failure. Many news outlets have already done overviews of the bad reviews After Earth has garnered. It's the most high profile failure of 2013 so far. Some reviews have explicitly compared After Earth to Battlefield Earth. While it's too early to tell if After Earth will join the ranks of all time bad movies, it's certainly off to a good start. 6. Both Movies Damaged The Star's Career - John Travolta never lived down the drubbing he took for Battlefield Earth. It wasn't the only bad movie he did, but it certainly capped a string of bad movies. His star power has never been the same. Based on numerous reviews that single out Jaden's poor acting and the weak box office of his first solo effort, it's likely that After Earth will make it harder for Jaden to get roles in the future, not easier. What do you think about After Earth? Any connections to Battlefield Earth? Let us know in the comments. Is Will Smith a Scientologist? I did not know that. Nepotism is usually a bad idea, like when Francis Ford Coppola cast his daughter in "Godfather III." Husband-Wife tandems don't usually fare much better. I agree, but I did enjoy the music in The Godfather movies composed by Carmine Coppola his Father. I agree about the vanity movies. Those motives can get in the way of creativity. Thanks to Tom Cruise, everyone in Hollywood is turning to Scientology. Battlefield Earth my have been propaganda, but it made me want to run screaming from that religion. Probably not the reaction they were looking for. Travolta might not have survived, but Barry Pepper made it. Curious to see what happens with the Smiths. the spotlight is not shining bright at this moment. Interesting article, and too bad the movie isn't very good. I haven't seen it yet but would rather wait for it at redbox, given the bad reviews. It's a shame because Will Smith usually makes such high quality films, and the premise actually has a lot of promise. I remember seeing Battlefield Earth and, while I wasn't wowed, I actually didn't mind it. Of course, I think I was something like thirteen at the time and most of the politics were lost on me. I didn't even know what a scientologist was. :D Great article! Yikes. Funny how M.Night's name was never mentioned on any of the trailers (at least the ones I saw).